The others pictures of "Crescent Moon with Earthshine"
For me, a Crescent Moon adorn with it Earthshine is one of the most splendid thing I know. This one shines above a small hill, in a dark blue sky where some stars twinkle. 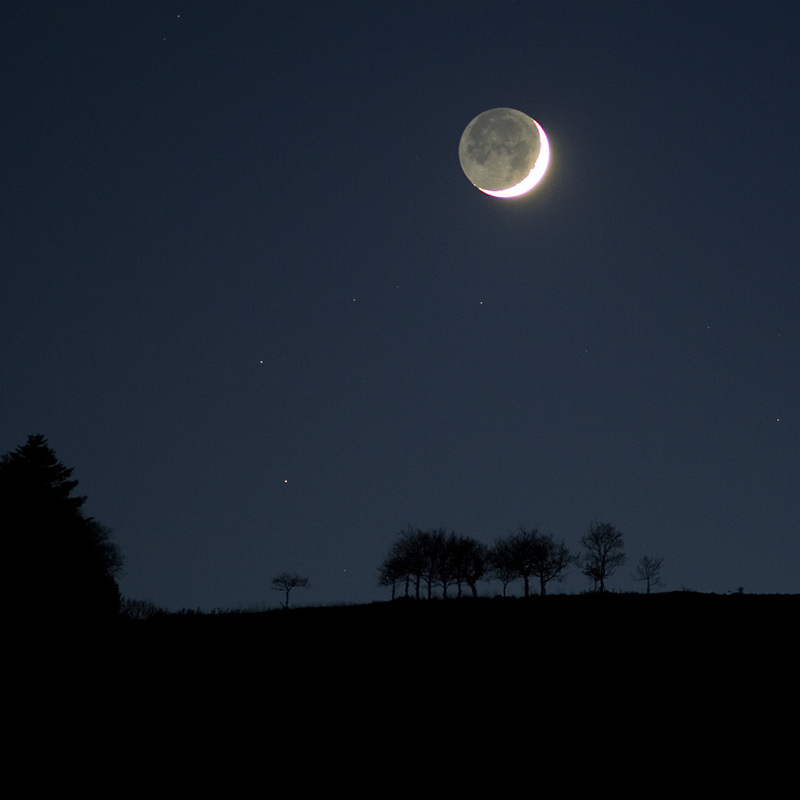 With this first photograph of the year, I wish you a year fills with Crescent Moon. Let's have a look to the square version of that picture. Seen 34352 times See the next picture of that series.